With markets maturing in Europe and Asia financial services firms are on the lookout for the next destination to park their FX band wagon. South Africa with economic growth above 3%; is fast becoming a destination of choice as its home to an affluent trading population, full regulatory environment and holds the key to the continent at large. 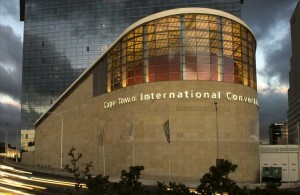 The first major FX and investment exhibition will be taking place on the 7th and 8th of December 2012 at the prestigious Cape Town International Convention Centre. Traders, investors and brokers from across Southern Africa will take part to explore new opportunities in the world’s most liquid asset class. “The event is a milestone for South Africa as it shows the market is strong and withstanding the recession, we are pleased to explore this market and showcase our products” said Mohsin Jameel, CEO of Tradenext (an exhibitor). The exhibition is organised by Event Studio a Cape Town based events management agency, organiser of the expo, Jeni Kostova believes “South Africa is a thriving market and we recognised that local investors lacked a proper platform to understand how the FX and CFD markets operate”. The two-day event will be full of seminars, tutorials and discussions by key industry experts where investors can get the know-how about what’s moving the markets. Jeni continues “we have managed to attract some of the largest FX players who believe South Africa is the next best thing out there”. Over 5,000 attendees are expected at the two day event; including retail investors, introducing brokers, fund managers, affiliates and industry professionals from local banks and brokerages. 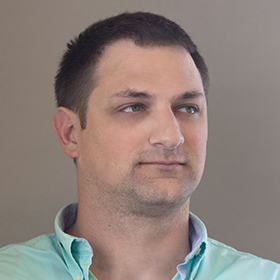 Dominic Birch, CEO of Trader 24 says “Trader24 is proud to be associated with the Forex Expo and as a South African based online financial brokerage, one of our key objectives is to promote our Online Forex Trading platforms”. South Africa’s economy has been growing despite the global recession still taking charge; with a focus on commodity based products the upheaval in the price of Gold has kept earnings secure for players in the mining sector. South Africa’s financial markets are sophisticated and mature, the country is home to the largest stock exchange in Africa, and it offers trading in equities, indices, derivatives, bonds and currency futures. The premier bourse was established in 1887, JSE Limited (previously known as JSE Securities Exchange and the Johannesburg Stock Exchange) is the largest stock exchange in Africa with a market capitalisation of $579.1 billion (USD). The JSE Africa All Share Index is trading at 37,193.20. Yesterday, (16th October 2012) the JSE registered an all-time closing record‚ extending gains on the all-share index to 18.80% from a year ago‚ amid a broad-based rally. In a 2010 survey, the largest economy in Africa was found to have the second most sophisticated financial market and the second-lowest effective business tax rate (business taxes as a percentage of company profits), out of 14 surveyed countries. The country was also ranked fourth for ease of accessing capital, fourth for cost of capital, sixth for its transport infrastructure (considered better than that of China, India, Mexico, Brazil and Poland, but behind that of Korea and Chile), and seventh for foreign direct investment as a percentage of GDP: in 2008 it was over 3% of the GDP. South African retail investor’s participation in the local stock market is believed to be around 6% of the population. With a growing affluent and upper middle class, investors are looking for stable, income bearing alternative investment opportunities. The South African Rand is recognised as an exotic currency pair, it is one of most volatile currencies in the world and can exhibit moves of greater than 0.20c in a single day of trading against the USD. This volatility allows investors to speculate by being in the market for a relatively short period of time and offers excellent liquidity supported by market makers. Current spreads on the USD ZAR on the Tradenext iTrader platform are showing 153. The Rand is trading at 8.6781 against the greenback. Margin products such as CFDs are regulated by the state regulator Financial Services Board (FSB), South African traders have been exposed to FX and CFD products since the early 2000’s. Sources close to the regulator state that the FSB welcomes foreign institutions looking to partner with local providers. UK’s leading CFD provider IG Markets has operations in South Africa, there has been an influx of foreign brokers seting up in the Southern Afrian country including; Saxo Bank, ETX Capital, Delta Stock and Markets.com, hus showing the potential in the market. Furthermore the market has local banks and brokerages offering online FX and CFD trading such as; Global Trader, Nedbank and ACM Gold. Notably, Standard Bank is a white label partner of Gain Capital. Exhibitors at the event include FXCM, Saxo Bank, Tradenext, Trader 24, Spot Option, Broker Signals and many more leading brokers, education and service providers. Forex Magnates research team wrote a detailed report on FX in Africa, four major regions were recognised as major financial hubs such as Nigeria, Kenya, Egypt and South Africa. December is thought to be a quiet month as traders wrap up for the festive season, however Cape Town is a prime destination for South African and foreigners as it boasts a Mediterranean climate during the traditional (European) winter months. Attendees can pre-register to win an iPad. Trader24 is extremely proud to be associated with the South African Forex Expo. We look forward to the opportunities this event will bring to us and the South African Trading Market. Is there going to be a Nigeria Forex Expo too, coming? Forex Magnates wrote a detailed report on the Nigerian Forex market giving details about how brokers can benefit from an emerging market like Nigeria where there are an estimated 300,000 FX traders, plus the Abuja commodities exchange is an excellent initiative, I think Nigeria is definitely a great place and expo organisers should think about it. We are definitely looking at making South Africa Forex Expo become Africa Forex Expo and cover all the big African economies including Nigeria, Cot d’Ivoire, Ghana, Kenya, Egypt, etc. We are coming North next year, so watch this space! In the meantime, @Broker, we have received your request for visa assistance and will get it to you right away! It would be excellent for Nigeria to have a more positive image in the financial sector than the typical Nigerian Scam image. What are the primary written and spoken languages in Nigeria and South Africa? Jeni….thanks. I hope all goes well. What kinds of marketing is available for Southern African forex traders normally? Say I wanted to target that audience for advertising some expert advisor or other forex product. What forums do they have available?